One Kings Lane, I proceeded to move around all the living room furniture. Now the sofas are facing each other. Like I always say “It’s just decorating” and I could probably will switch it up again. But it feels more open to me this way. Here’s an angle below I have never shown before. Why? I really do love my husband and son, but does a big TV interfere with your decorating? Why don’t you see big televisions like this in magazines? Just answered my own question. Notice the Louis Phillipe commode on the right? top stained the color of the antique piece. I bought antique looking hardware for it. Inside the cabinet is painted black so that the electronics blend. 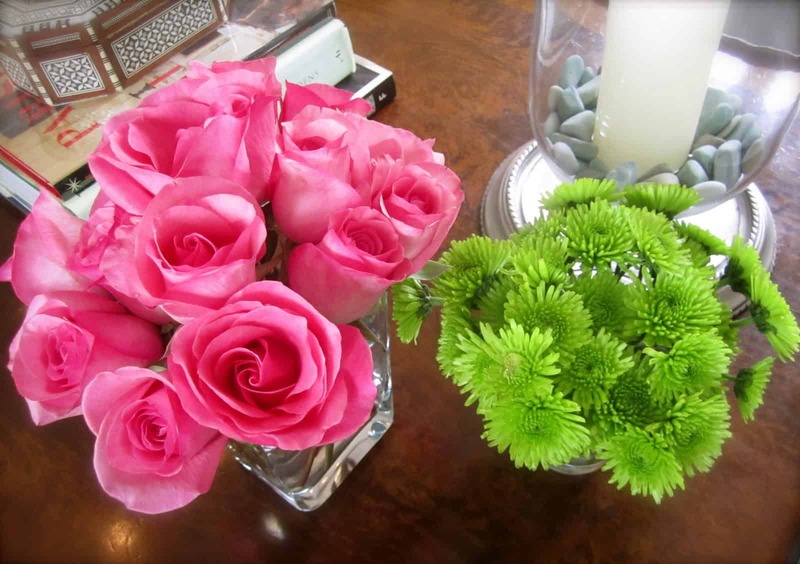 Instead of one vase, it’s fun to put two vases of different flowers together. and upcoming birthday gifts…not even going to “window shop.” Too dangerous. However, I just want to mention that Serena and Lily is having a Friends 20% off sale. 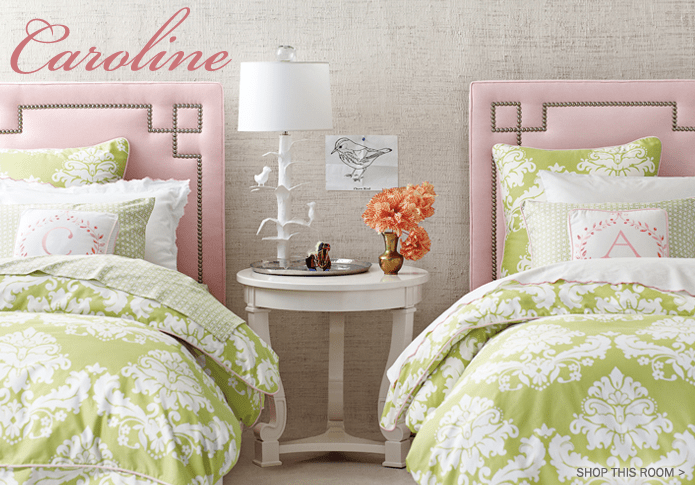 Cute headboards. Receiving no payment for this. 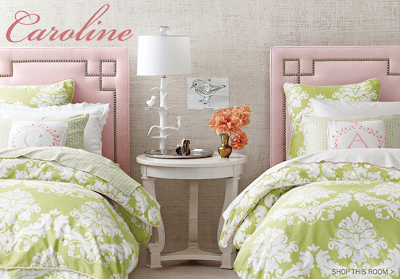 If I was, I would say FABULOUS headboards and great side table. Any places online that you can’t resist? 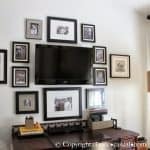 Big screen TVs are an unfortunate necessity in a living room, but you've found a very stylish way of presenting yours. Your console is stunning! One change always leads to another….Love the new placement of the sofas, of course I loved it before too! Having two consoles/chests on either side of the fireplace is an idea I would have not thought of but it looks wonderful that way! Yes, oh yes, if I bring in something new then the domino effect starts and lots of things move around. 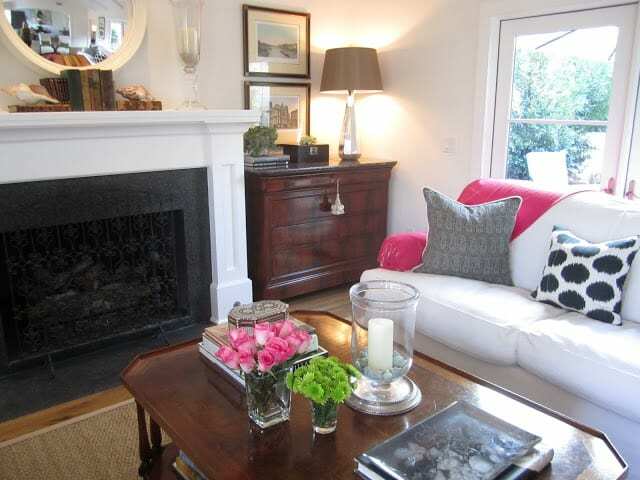 Love the pop of color the throw adds. I have been trying not to even look at OKL. Way too many places online that I can't resist, wrote all about them on my current post, its becoming a bit of an addiction..not good! Your living room looks beauitful…love the white sofas and the pop of color and agree about the two vases with flowers….stunning. You have a great eye Mary ann. Have a nice weekend….. Your living room looks beautiful, Mary Ann. 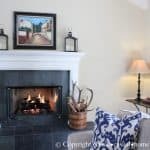 The fireplace wall is lovely. I love your mirror and mantle display. I love having two sofas face each other like that especially when there is a fireplace in the middle. I know what you mean, I can buy one pillow and I'm rearranging the whole dang room. Also, I think your TV looks nice. At least the TVs are slimmer and so much less bulky than they used to be so I don't think they look bad at all actually. The room looks beautiful. I love the new throw against your white sofa. Your room looks great. 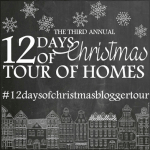 I can't stay away from these sites- wuslu, pottery barn, ballard design, etc……. Mary Ann. Your living room is so lovely! Your new throw brings a big pop of color to the room. I think it was a brilliant idea to "balance" the entertainment cabinet and the commonde. I like that they don't match but compliment one another. Just beautiful! After Christmas I am taking the long overdue plunge and updating my formal living room and dining room. I would love to do white too. You do white wonderfully! 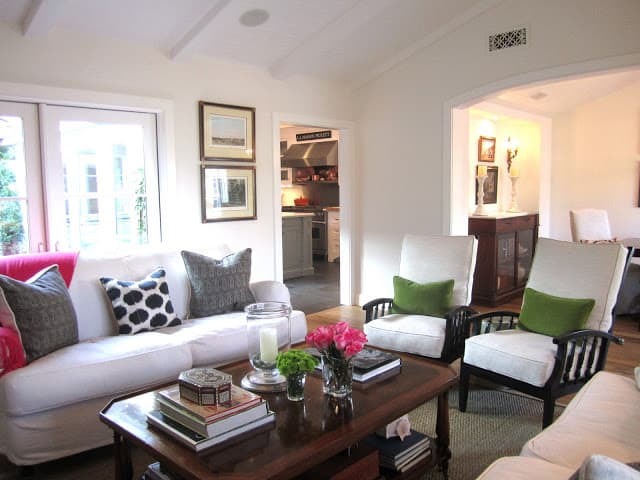 Love the two facing couches – and have the same "boy toy" issue!! So many clever solutions – love the black in the cabinet. I love how the new cashmere throw brightens up the room. Love the new look. Great idea. Gives me an excuse to go to One Kings Lane again. Those tvs are a problem but you did a beautiful job with that cabinet. I love that you painted it black inside. Love all the white. Have a great weekend! I swear some of my furniture permanently has furniture movers underneath so I can easily move it around! Love the pop of color! I love your living room, and the new console is perfect. I love the idea of painting the inside black. Genius! Love the color and the flowers too! Love how the pink throw perks up your room, and I think the TV compliments the black on your chairs nicely! 🙂 You've done a beautiful job, Mary Ann! Mary ann, it is always fun to change it up. Love the sofas facing each other and love the new pillows. That is why i love white sofas.If you get board you can change the pillows! Nice. I do a lot of changing things around when I buy something new…not so much the furniture as my options are few, but I find new accessories I forgot I had or I move in pieces from other rooms! I love the pretty throw…it really is a nice touch of color, you have a good eye! What a pretty room, Mary Ann! The ceiling, the fireplace, the flanking cabinets, and that calm color scheme with the pop of color from the throw – all gorgeous! Love how you bring a room together! Love the sofas facing each other. I think you did a great job balancing the weight of the tv with the paintings and lamp on the other side. Really enjoyed studying all the styling too. Gorgeous space! That throw really adds a fab pop of colour! I love your living room. It's bright, inviting and beautiful. 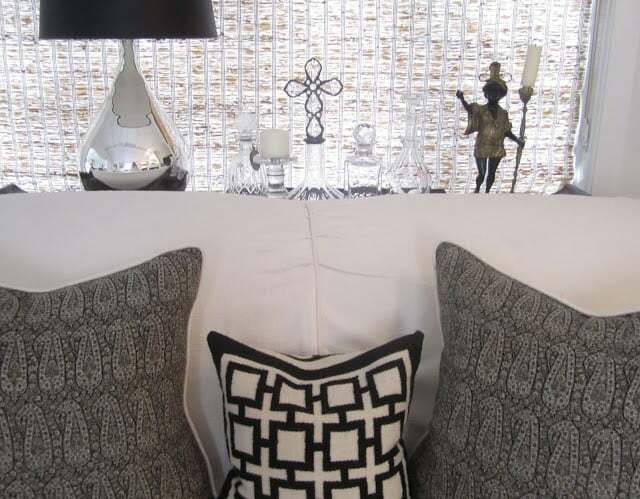 The mirror and pillows are my favorites! You did a great job, Mary Ann! 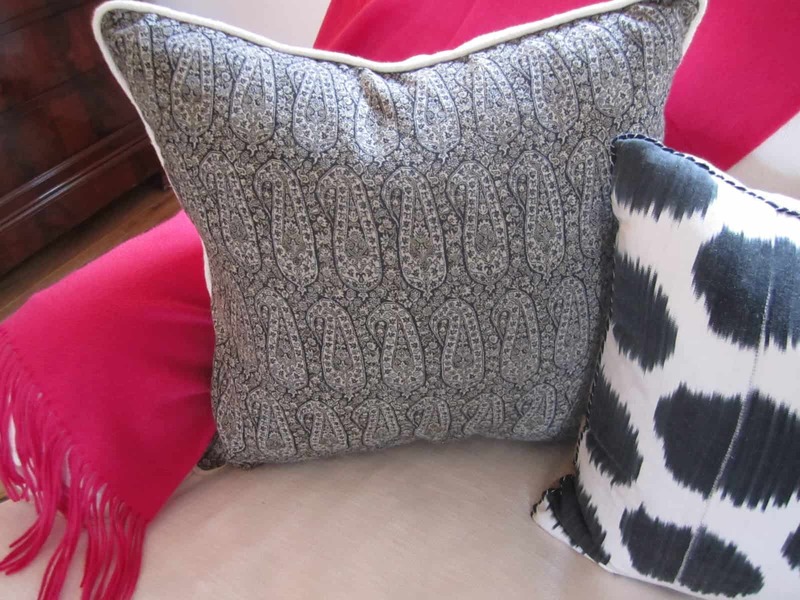 I love all the cushions…did you mention where the ikat one was from? Beautiful room! Love the changes. Love the idea of painting the inside of the cabinet black to hide the components! Great idea! Thanks for sharing. I love the new arrangement Mary Ann, it's perfect for conversation. About the television, I feel your pain. 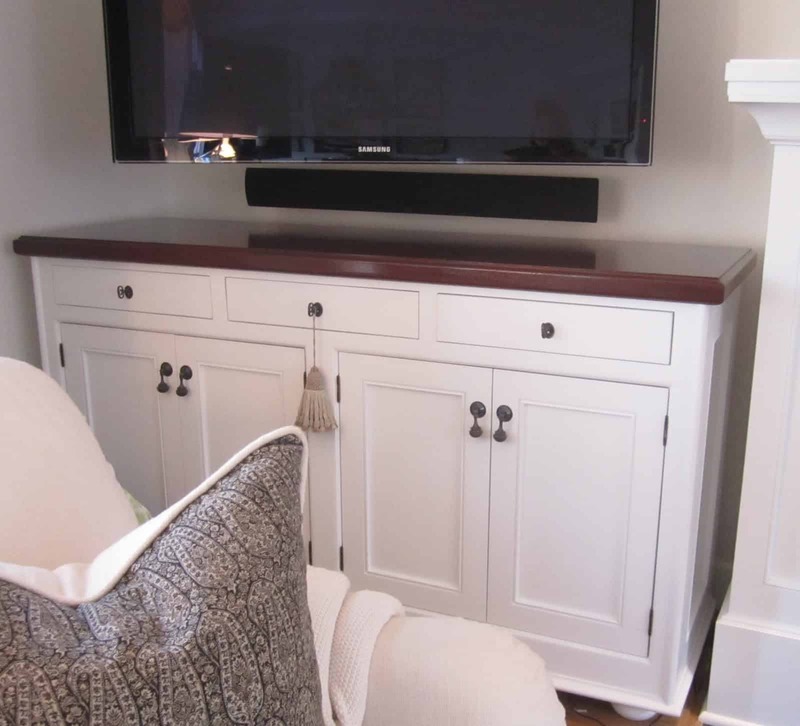 It took me years to convince my husband to relocate our enormous big screen-I wanted to relocate it to the curb! The way you balanced it with the chest and framed pieces makes it much less noticeable. You are a woman after my heart!!! Everything white with those splashes of color. The pink throw…so darn pretty with the black and white. Hey…TV's are reality. You did the best job you could helping it find a good place in the room. No worries…the room is fabulous. I really love your room arranged like this. Looks great for conversation and opens the space too. I don't think the tv looks bad at all. It is nice and neat. Serena and Lily is a wonderful store! Thanks for sharing. Mary Ann, I love that color pink. Just a pop of color as they say is all you need! Lovely changes! I love your living room…and the new throw! The way you have the TV set up it's hardly noticeable. I have purchased a few items @ WS Home that were deeply discounted. My favorite is a mother of pearl tray marked down from $125 to $20! I adore your pillows and that new throw is a great pop for your room. 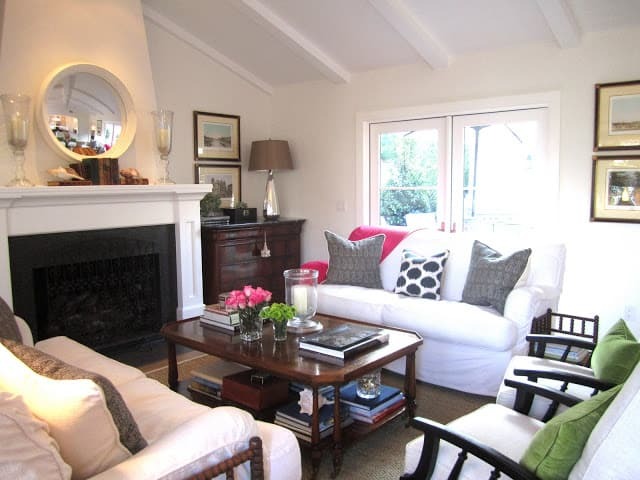 I really like the seating arrangement and love that mirror over you fireplace. Looks like a great place to sit with friends or entertain. I can't get enough of Etsy! Your room is perfect! I, too, am frustrated by giant televisions. 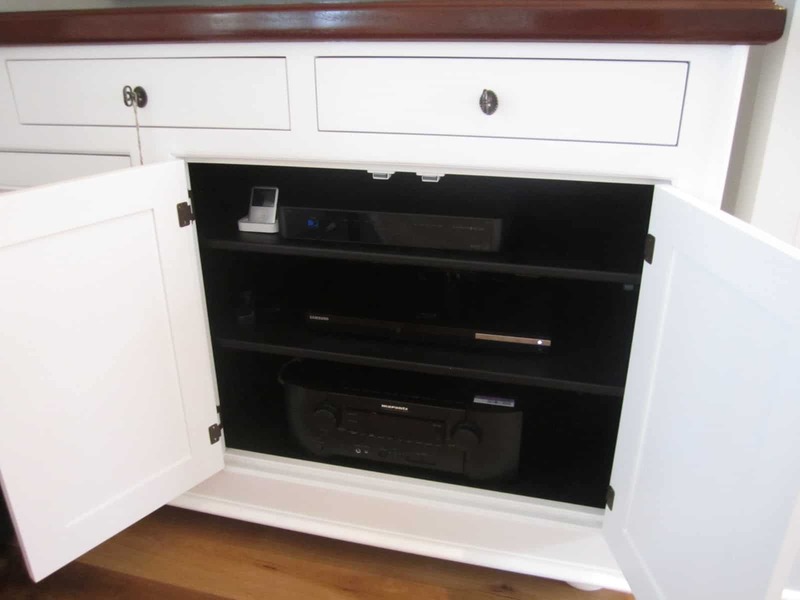 I love your idea of painting the interior of the component cabinet black–genius! Hi Mary Ann, Love the new throw and your room is beautiful! I have also bought one new thing and ended up changing the whole room around. I gave up TV two years ago and also just use the laptop to watch news or movies. Its like I have a whole new room–love it. But I do understand the TV thing for people who love sports or family movie watching, aren't we all happy that at least TVs are so much slimmer and can hang on the wall? I think everything looks beautiful! I especially love the lamp with the black shade and all of the items sitting along side it. The flowers are gorgeous! I just love having fresh flowers in my house. This is a beautiful room. And I love the piece under your television. 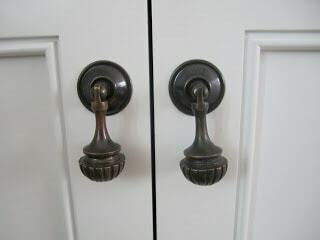 It is such a beautiful cabinetry. Happy Thanksgiving! Looks Pretty !!! i liked your living room !! Beautiful room! I'm really loving this furniture arrangement. I agree with you about husbands and their electronics, but it looks like you came up with a perfect compromise. The "Louis Adrian" is such a gorgeous piece! Gorgeous room …love the detail. 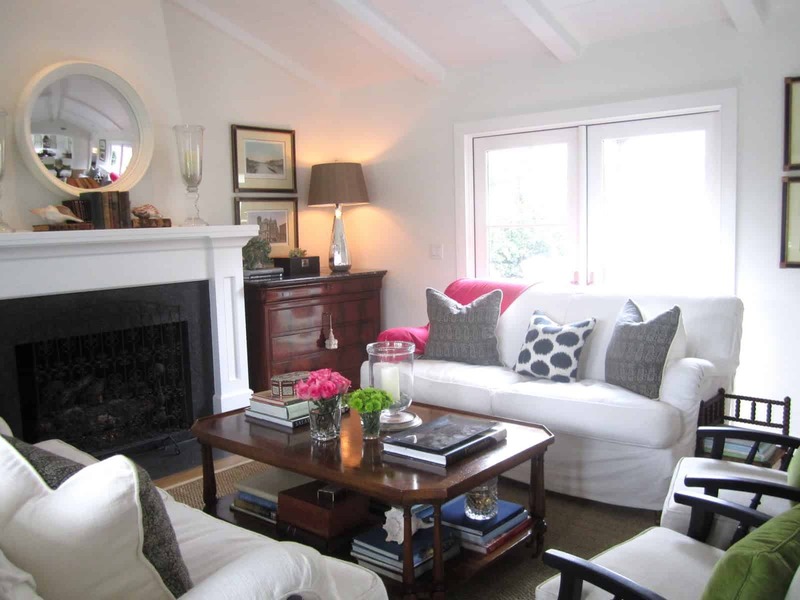 Love that a throw can induce a brand new layout for a room! Girl after my own heart. And the new layout is fantastic. I would enjoy it for awhile before a rearrange. 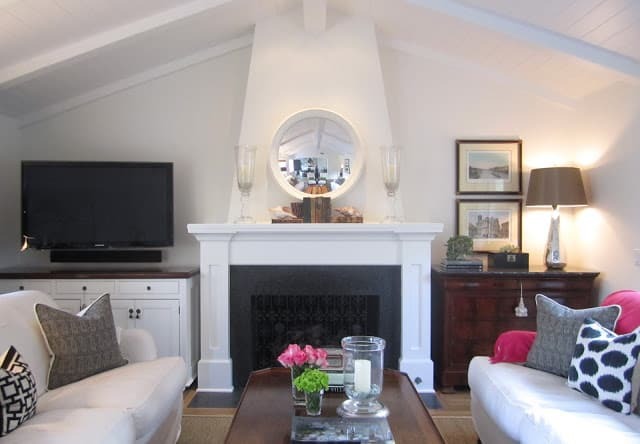 The entire space looks amazing – love the architecture of the fireplace, adds tons of character. 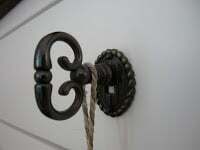 M.
Great home decorating creates a beautiful home that is a reflection of your lifestyle. 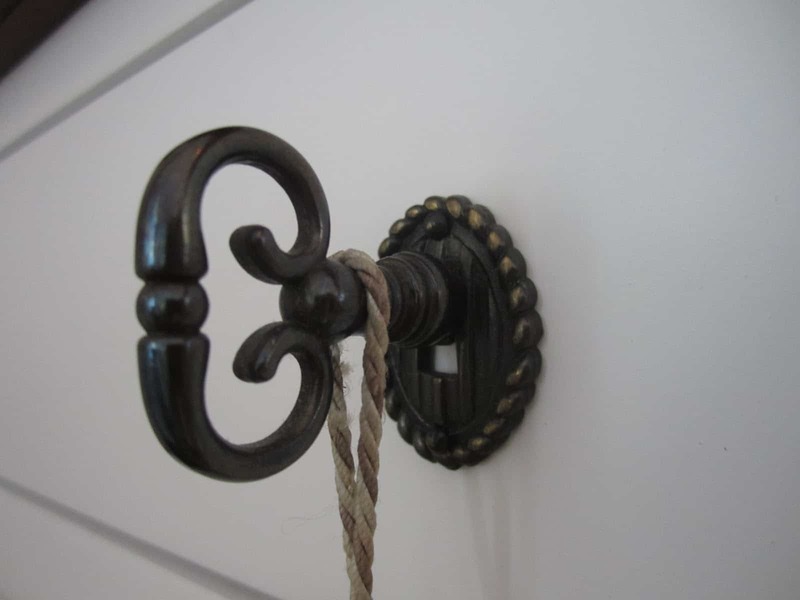 You can make small changes to the design of your home to make it look attractive. 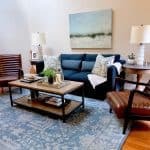 Updating home decoration will not only create additional space in your home, but will give that enthused, exclusive, creative and relaxed home. I love the little changes going on…I would definitely rearrange a room around that fabulous throw…cashmere and a gorgeous pink? Sign me up! Have a great Thanksgiving! Your room looks beautiful! Even with the giant tv! Lol. And yes, I buy one new thing and the whole space inevitibly changes. It's a sickness I think…but since we've admitted it we're good. At least in my opinion. I love the architecture of your living room. Lovely idea under the tv. 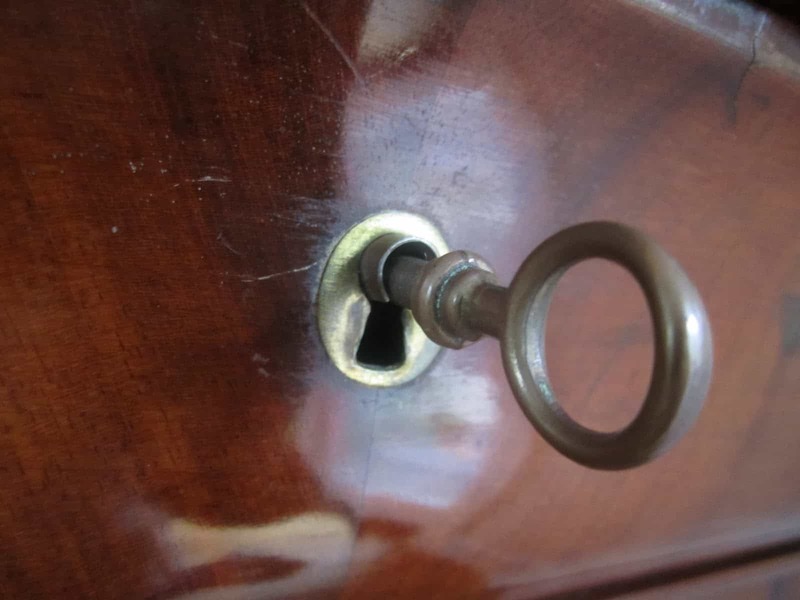 I love Louis Phillippe furniture too. We just got a gorgeous Louis Phillipe pedestal dining table and chairs — love. Barbie and Ken, please come and see. Have a great weekend. Love your home and the way you have decorated. Very nicely done. Pink Accessories, have a fun Saturday! The new cashmere throw looks really stunning. And as you said, the big TV really looks out of place. Think you better move it to some other room. Everything looks pretty and so cozy! I would to redo my whole home on the decorating thing but with kids I'm like I will wait until they are a little older because they destroy everthing it seems! I am having a giveaway on my blog and would love to see you enter! i bought some real pashmina throws in that color on ebay – like 10 for 20 dollars.something like that. sooo cheap. that way when the dogs ruined mine i could just toss it without feeling bad. your rooms is gorgeous. i never ever show my side of the den where the tv is either!!! too funny!!!! i totally relate. Love the design..picture perfect and looks very cosy. Your living room looks beautiful, the fireplace wall is lovely. I love your mirror and mantle display.